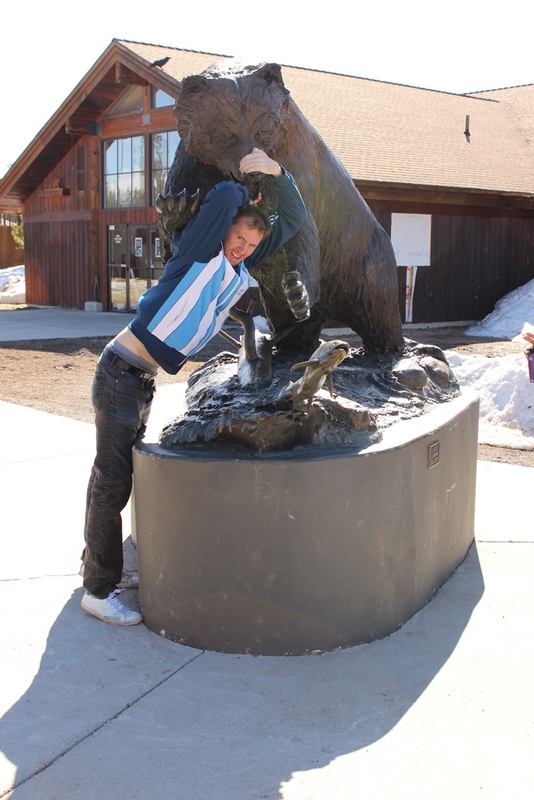 Tonight we bring you the 4th installment of the Traveling Mr. Taylor goes to Montana. 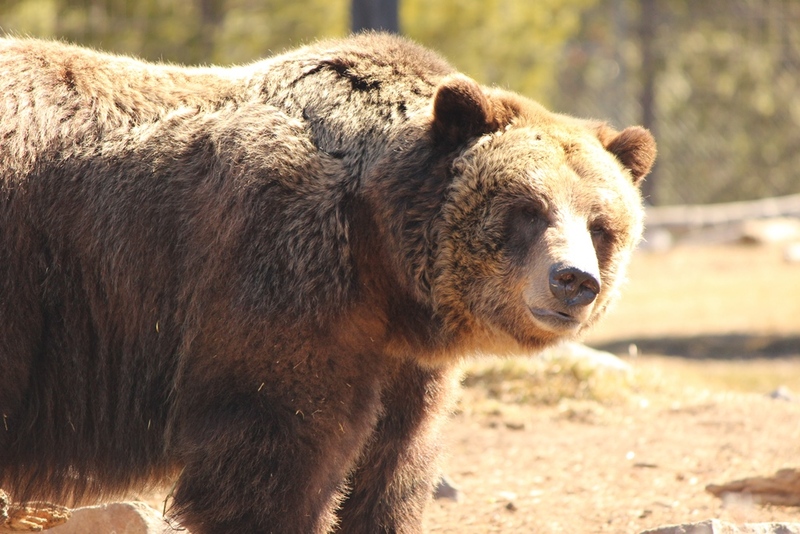 This update features our visit to the Grizzly and Wolf Discovery Center, which is a sort of miniature zoo that features bears and wolves. 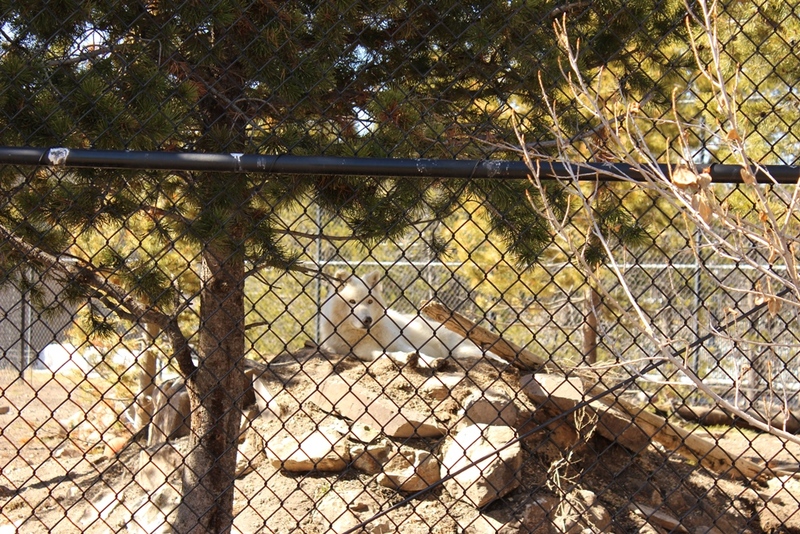 For $11.50, you can get a two day pass to see some of these animals up close without the risk of being attacked. 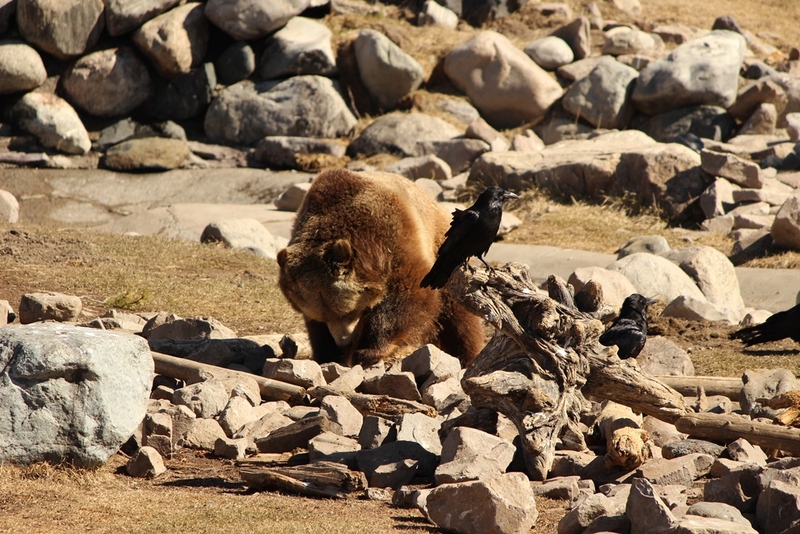 They also have different birds of prey that they feature during the summertime, so we didn’t get to see it for ourselves, but it was still neat to see. 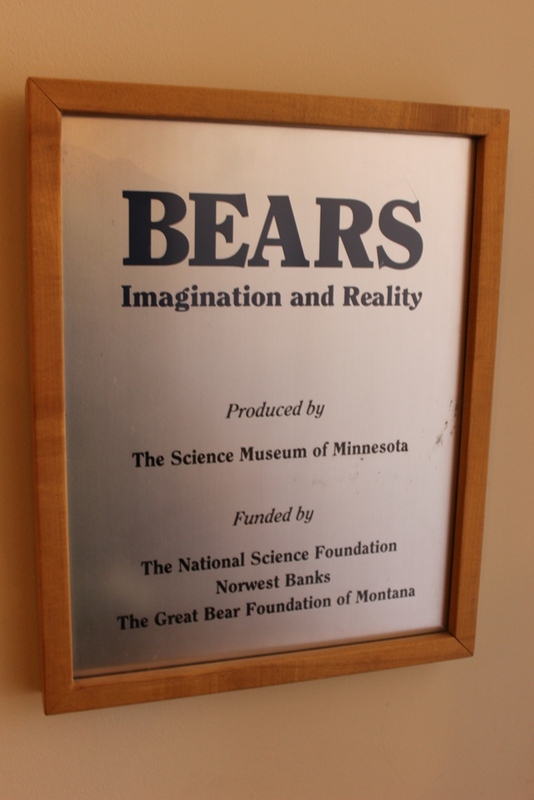 So let’s go in and take a look! 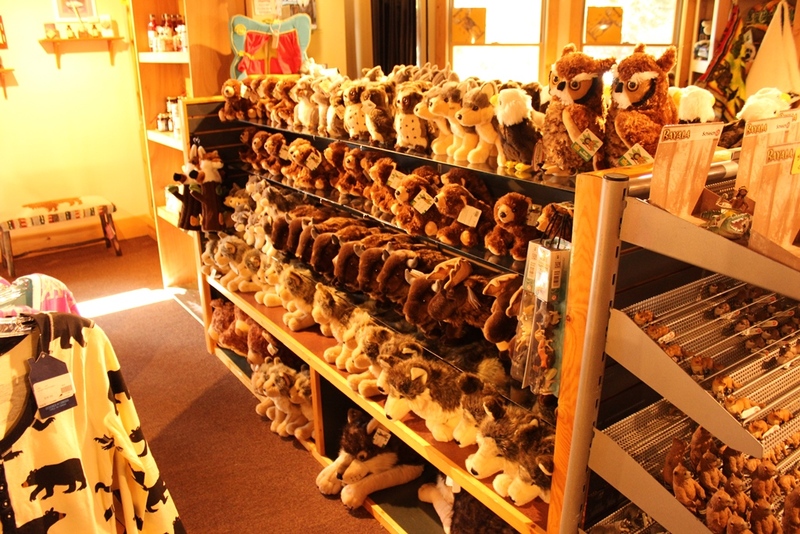 The center features a gift shop with many different items to choose from including shirts, hats, books, plush toys and more. 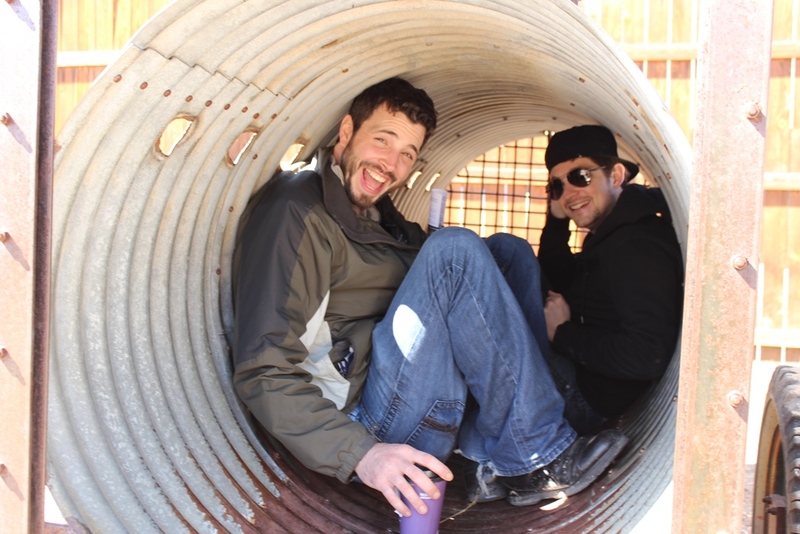 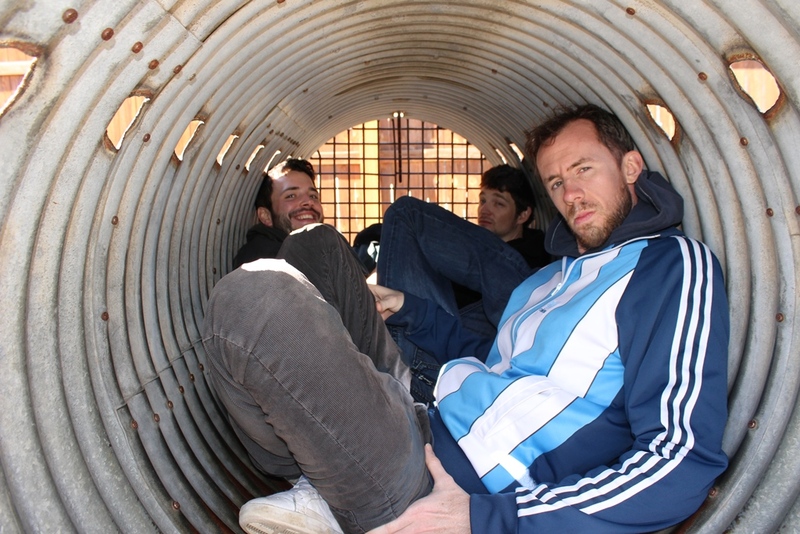 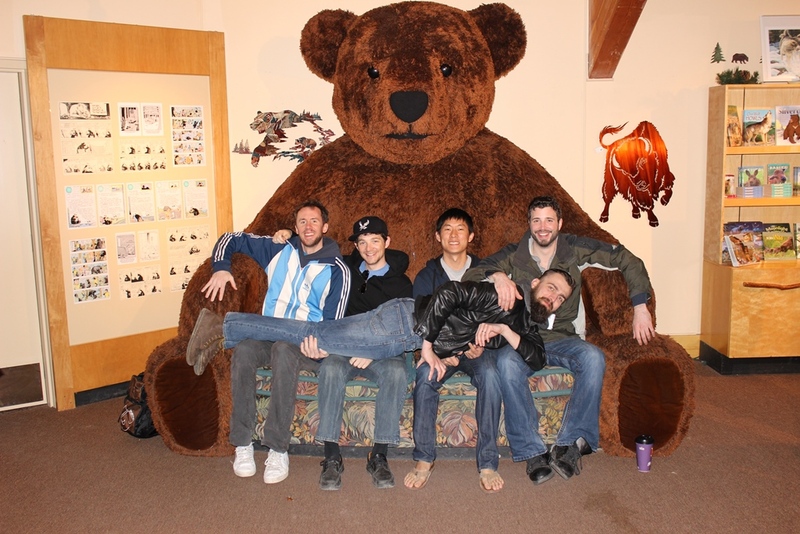 There is even a couch to take a break, or for an awesome photo opportunity as the guys would demonstrate below! 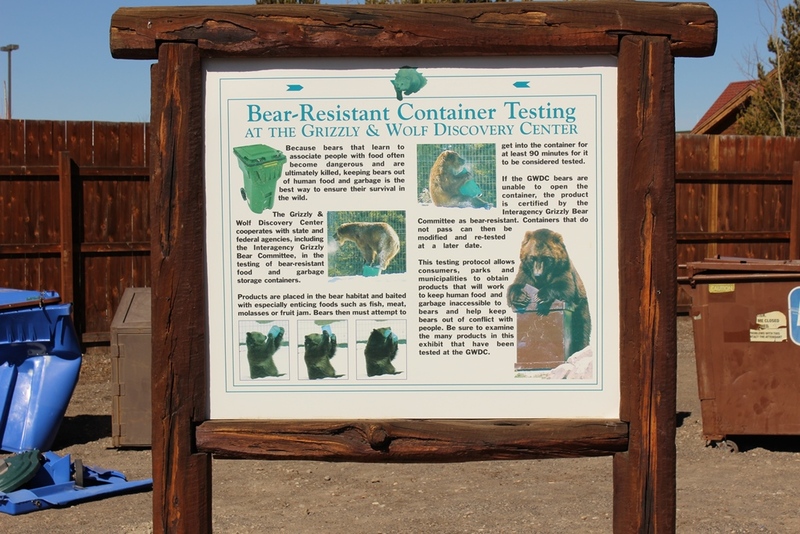 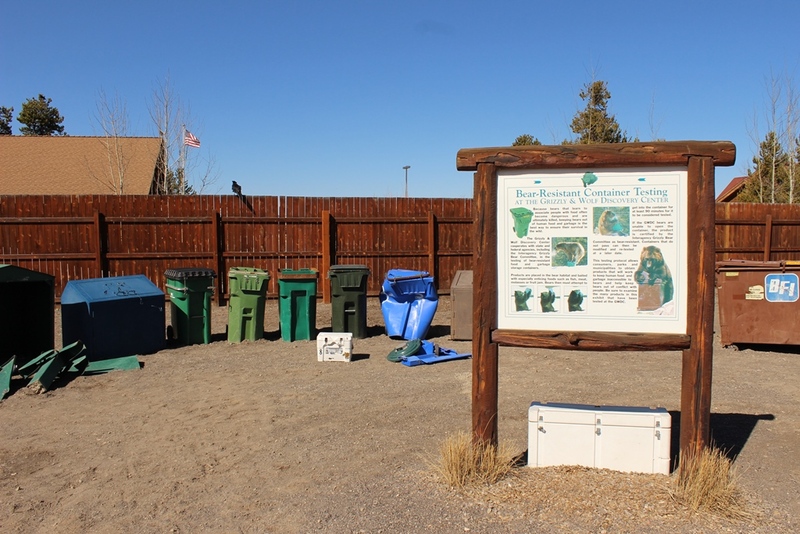 One of the first things that you encounter as you enter the main viewing area of the different animals is a display of bear-proofed equipment, such as trash cans, and safety info boards. 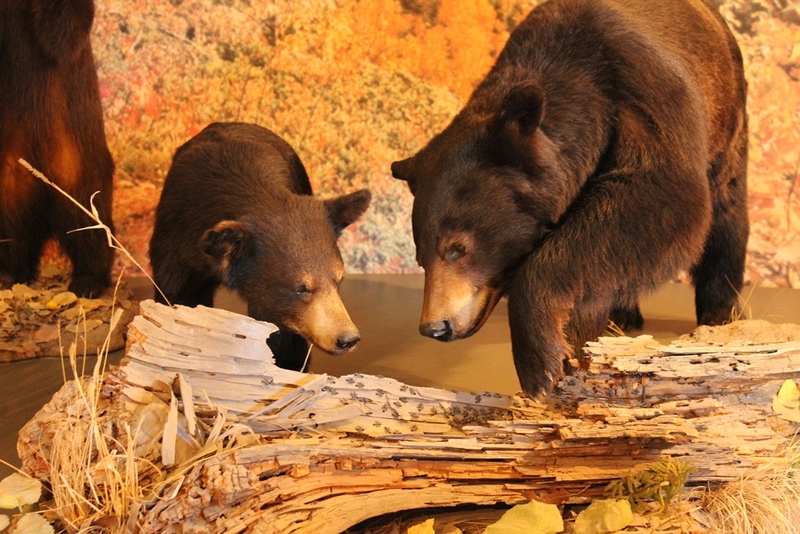 The discovery center tries to promote safety and awareness when it comes to bears, whether they come to your area or you are out in the woods exploring. 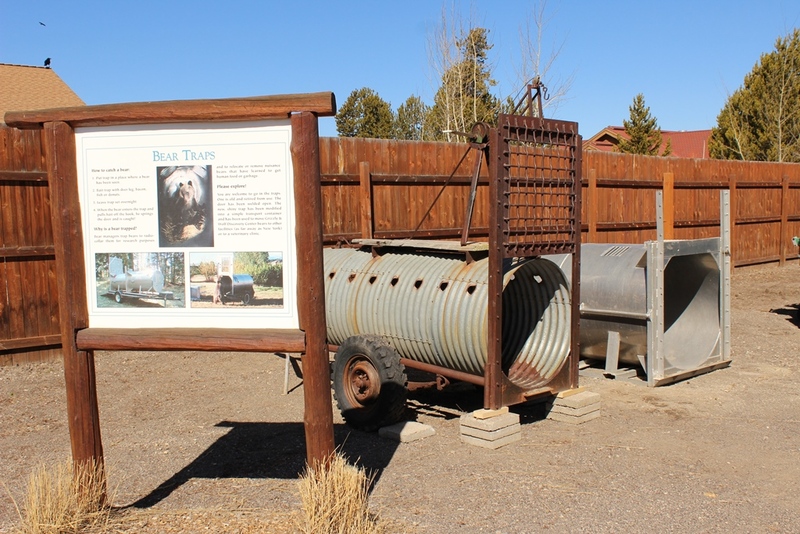 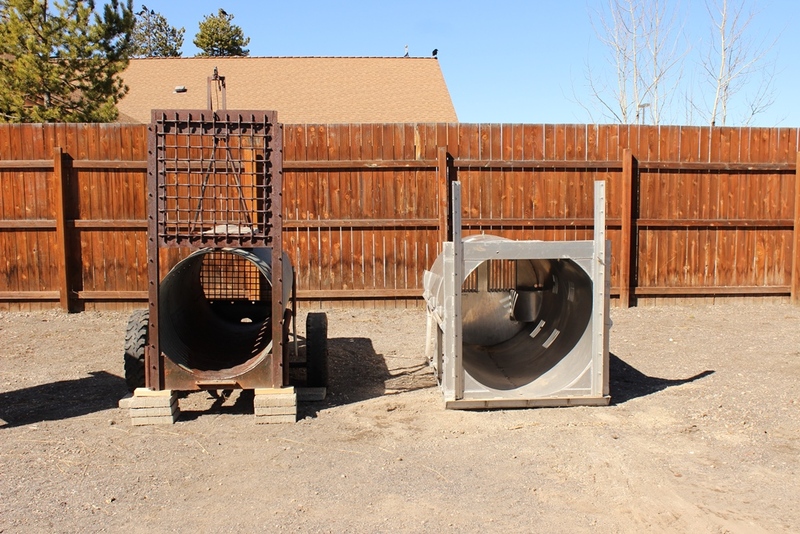 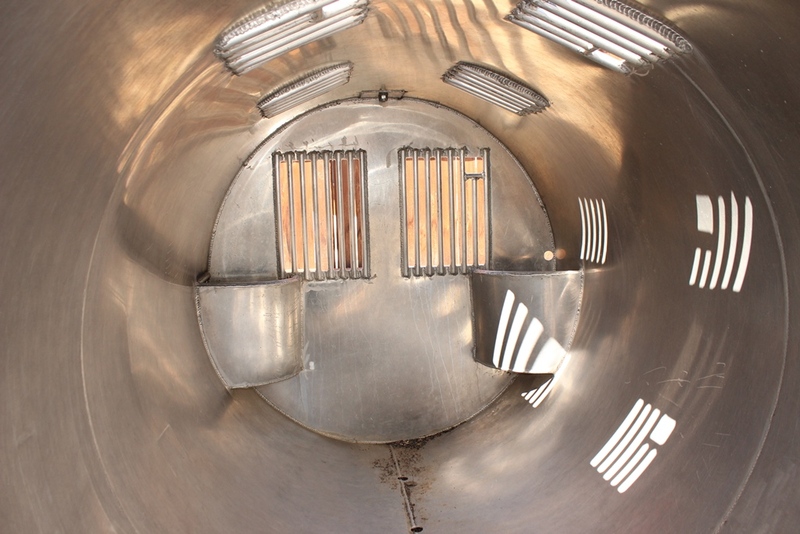 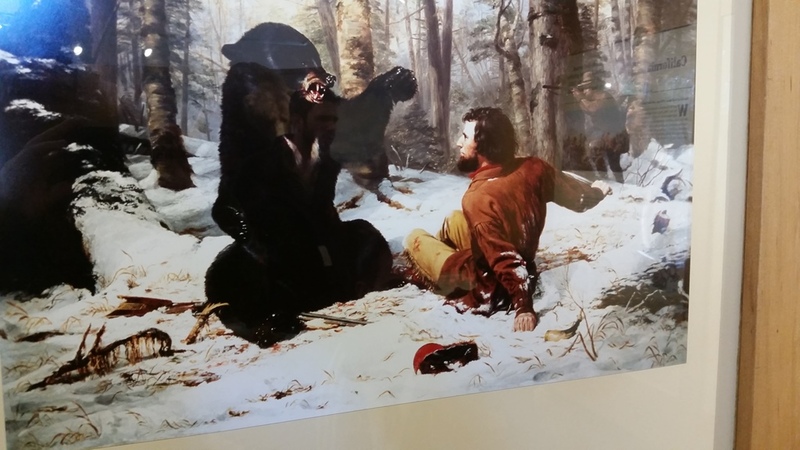 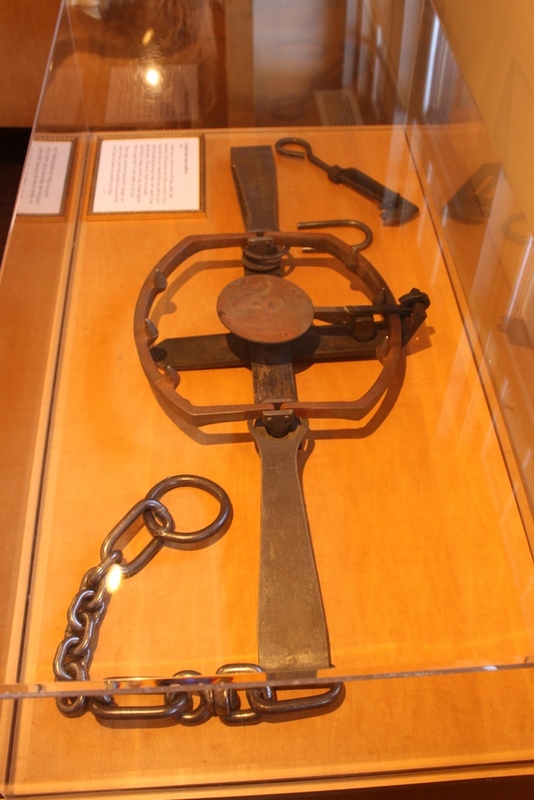 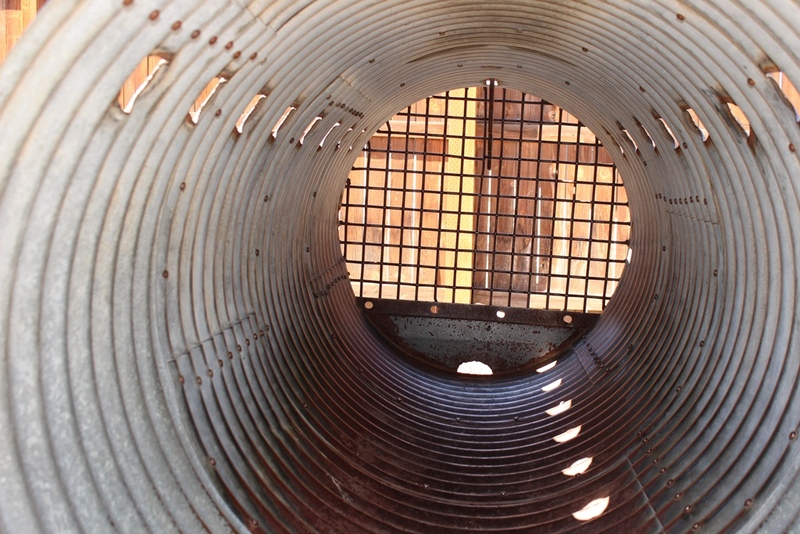 You will also find a display of the older and newer style of bear-traps that researchers and animal control will use, whether to help relocate a bear away from people, or to conduct medical examinations for the bear’s health and for research purposes. 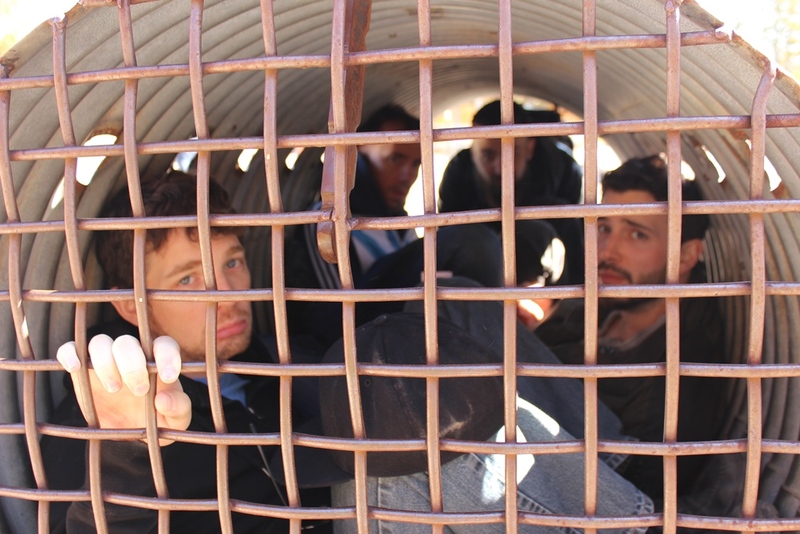 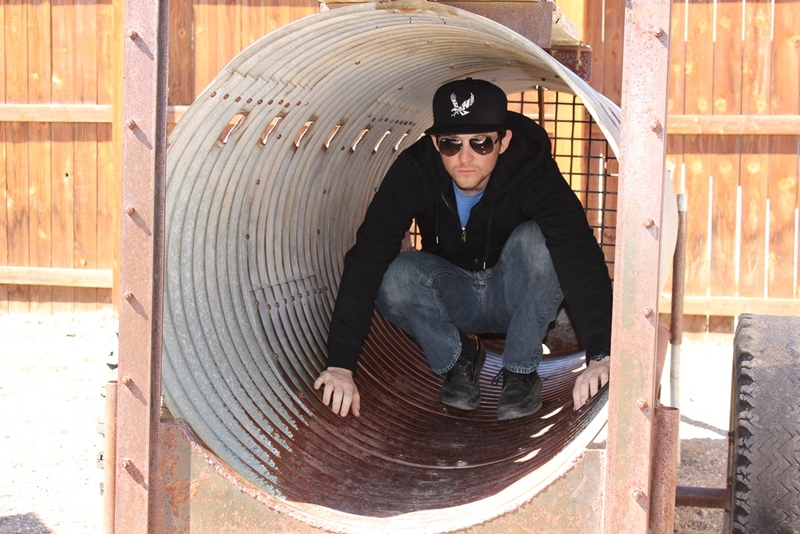 Obviously, being the fun loving guys that we are, we had to test out the bear traps and see how well they work. 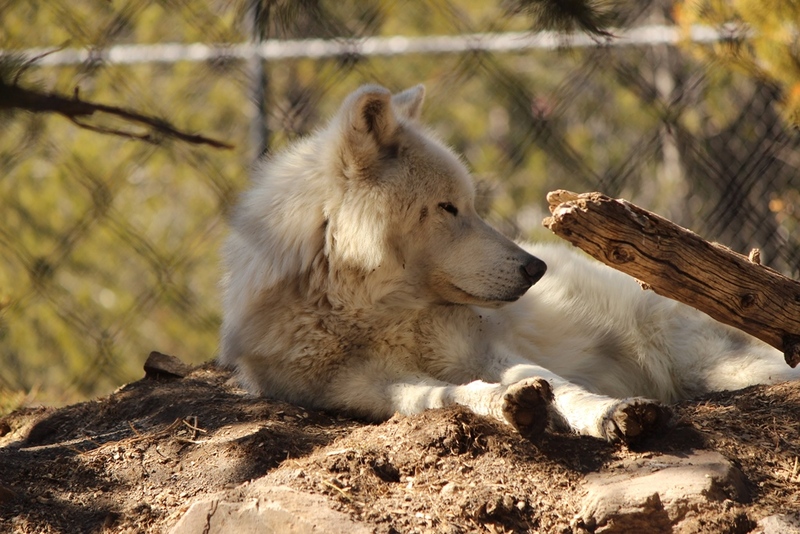 Sure looks comfortable doesn’t it? 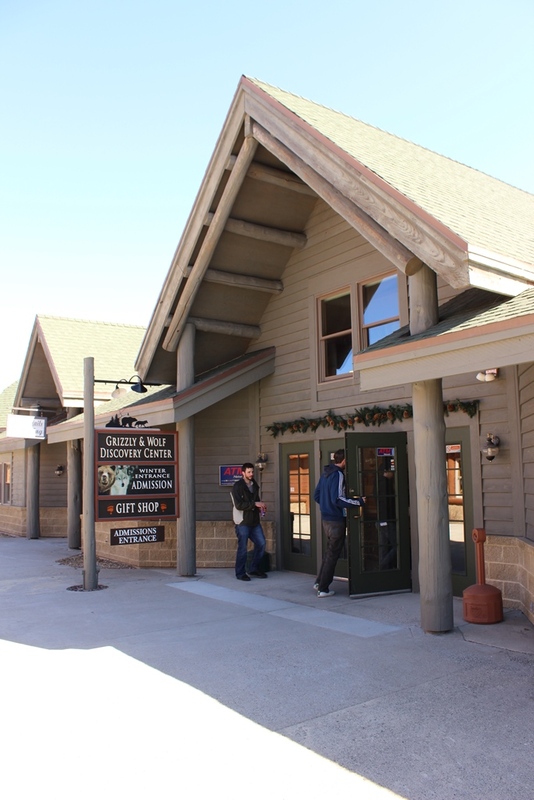 At this point, you might be wondering about if there were really animals at this place. 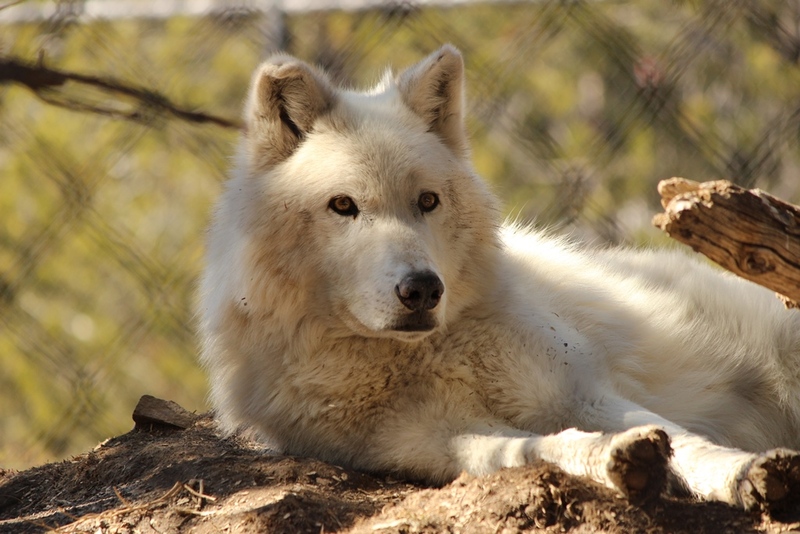 Yes my friends, there were, so let’s start with the wolves! 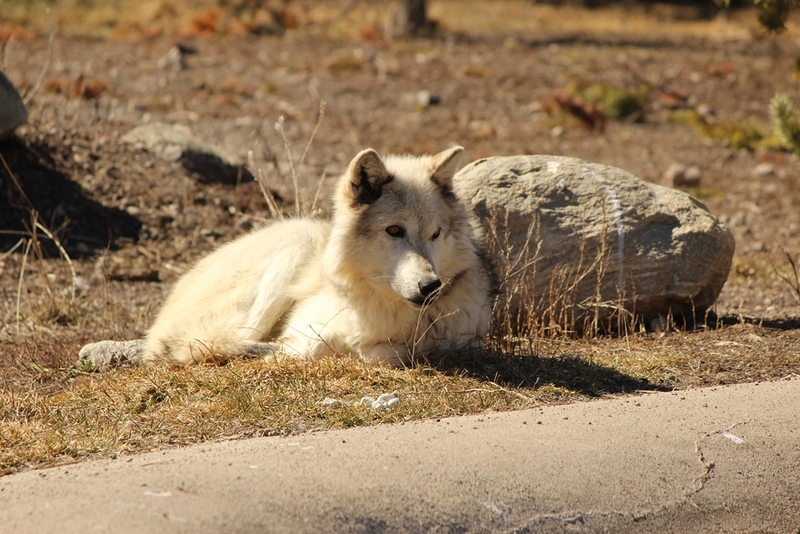 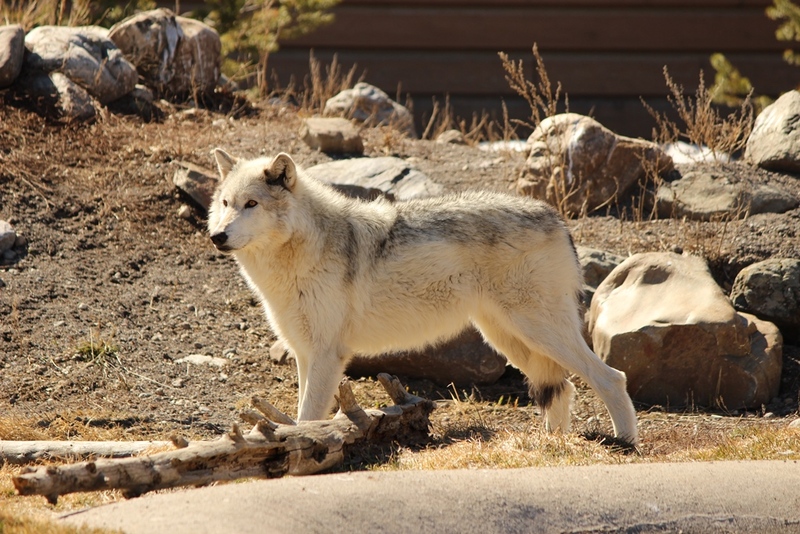 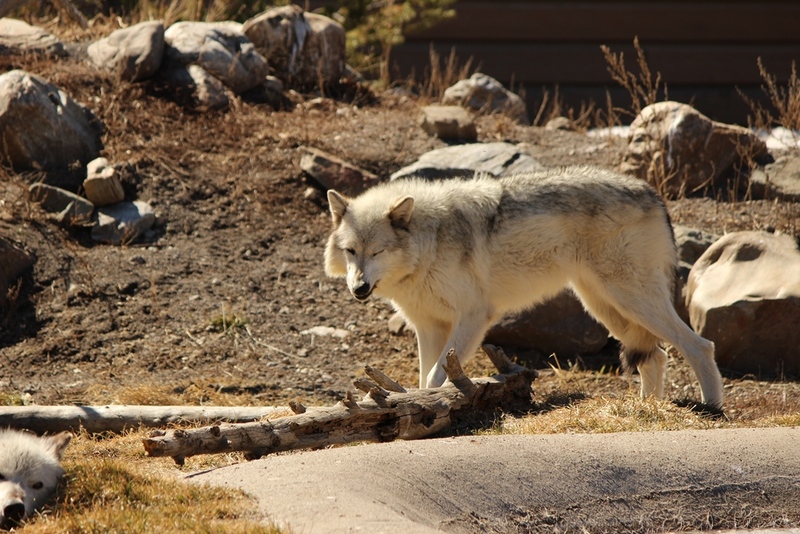 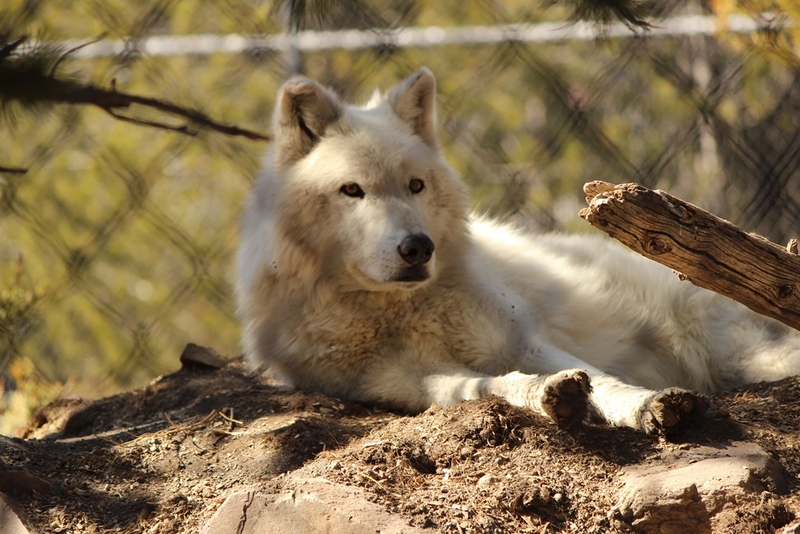 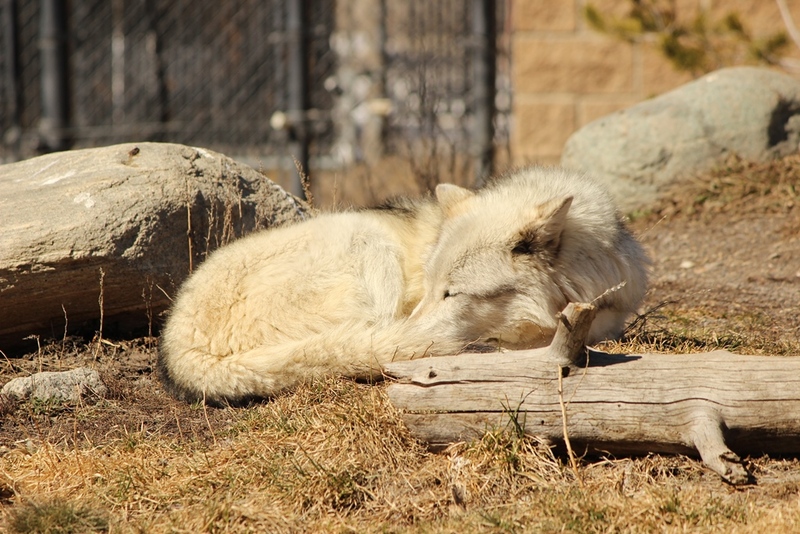 First, we have a Arctic Wolf that was just an absolute beauty to look at! 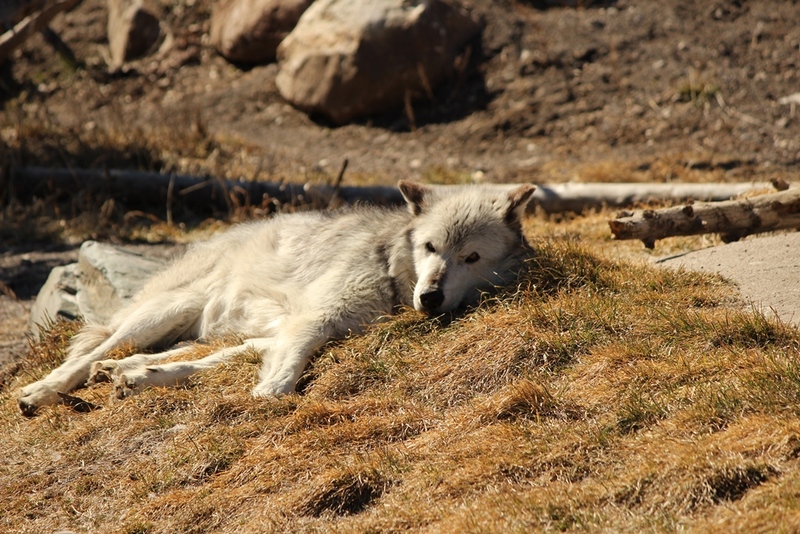 She was pretty relaxed at the time while lying in the sun, and she made it easy to get some great pictures of her as you will see below. 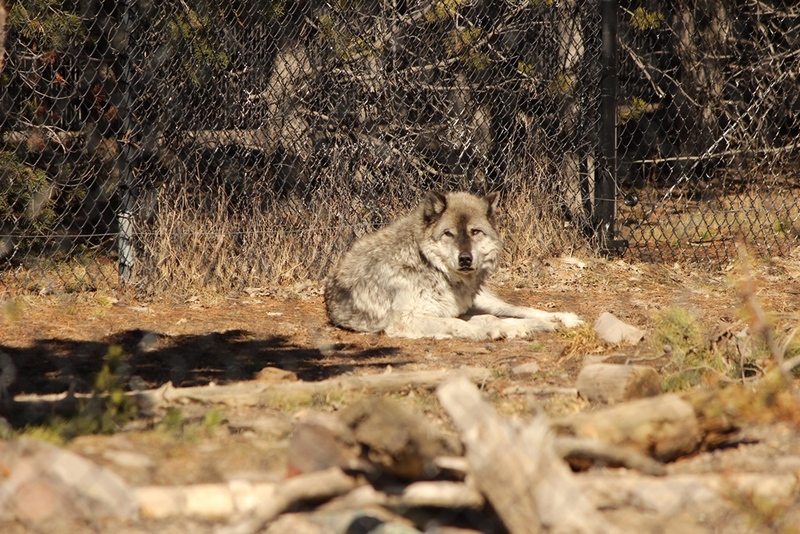 There were a few other wolves in the neighboring habitat including Grey Wolves that wasn’t quite as easy to see at first, but the habitat had some additional viewing space to the side giving a new angle to see them. 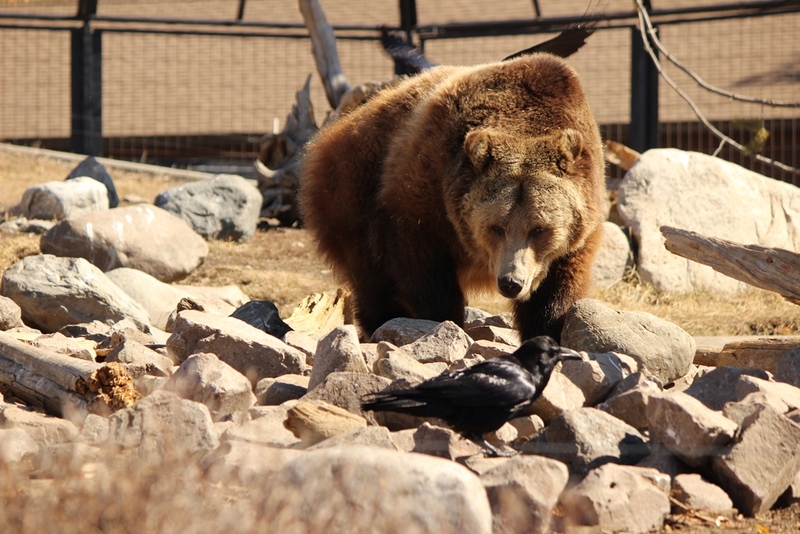 So while the wolves are half of the attraction at this place, the bears are also very popular. 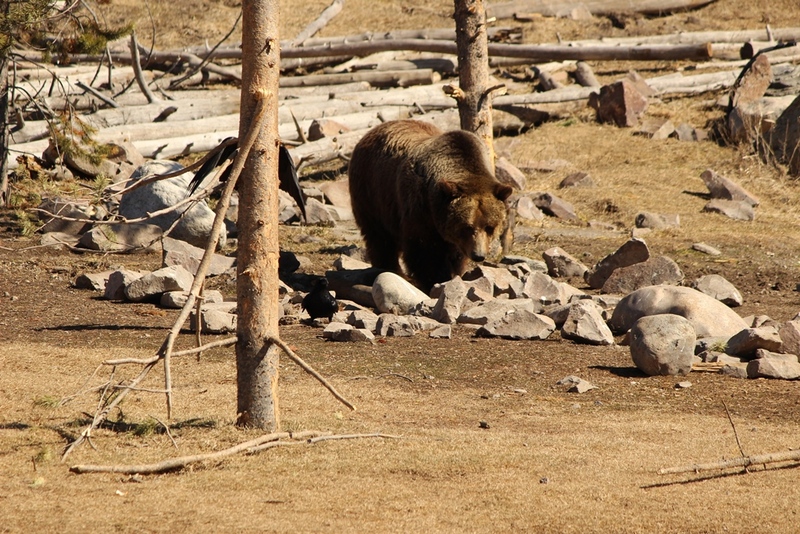 Today, they were feeding a few Brown Bears, and by feeding I mean they had hidden food throughout the habitat for then to find. 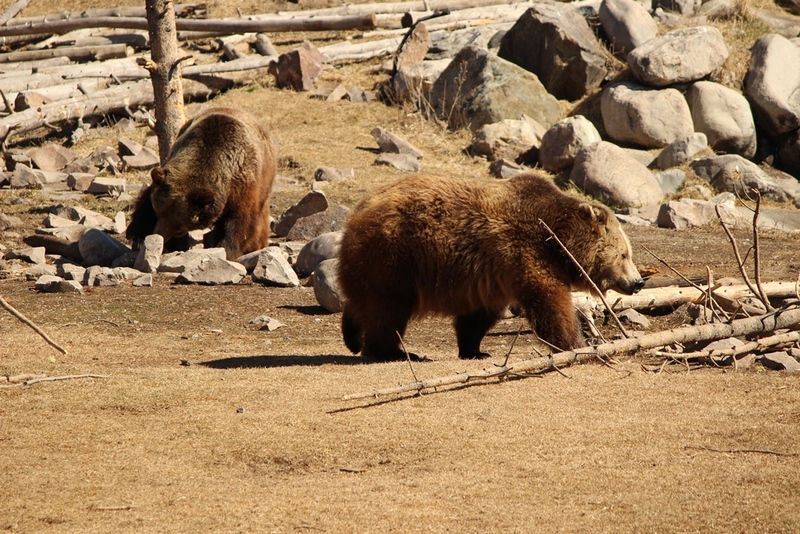 It was awesome to be able to see these large animals in a relatively close proximity. 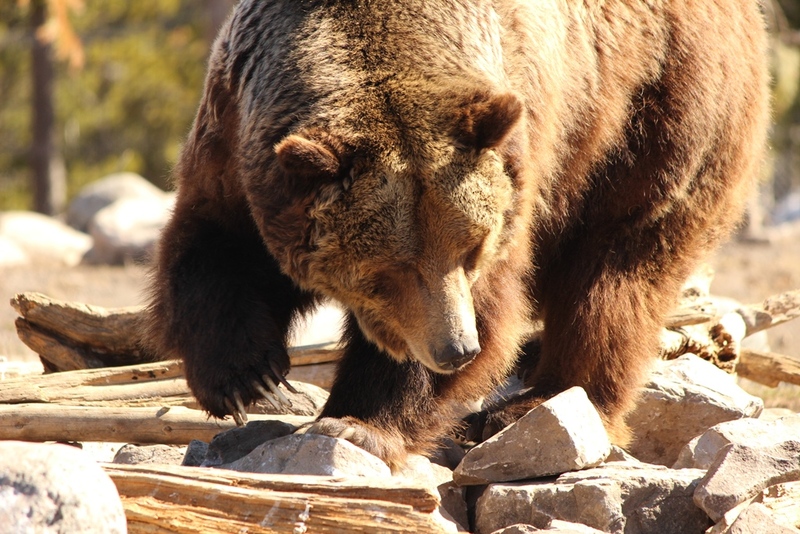 And looking at the claws on these guys, I wouldn’t want to get into a fight with them! 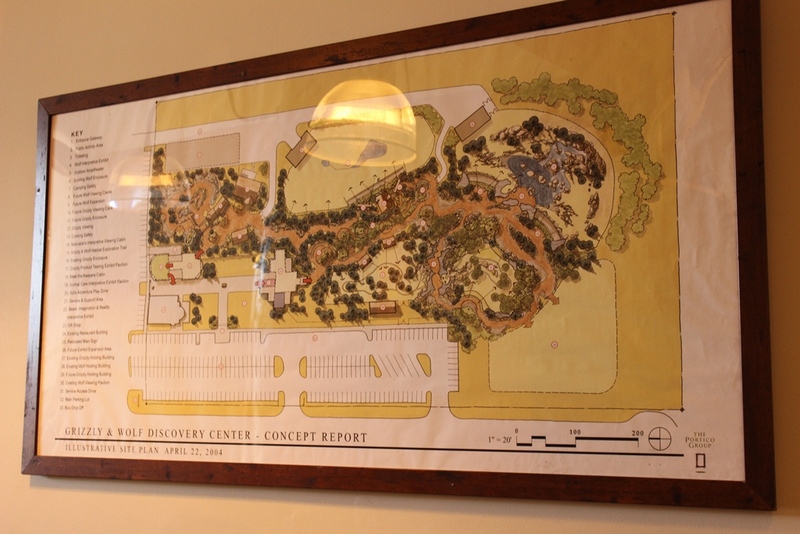 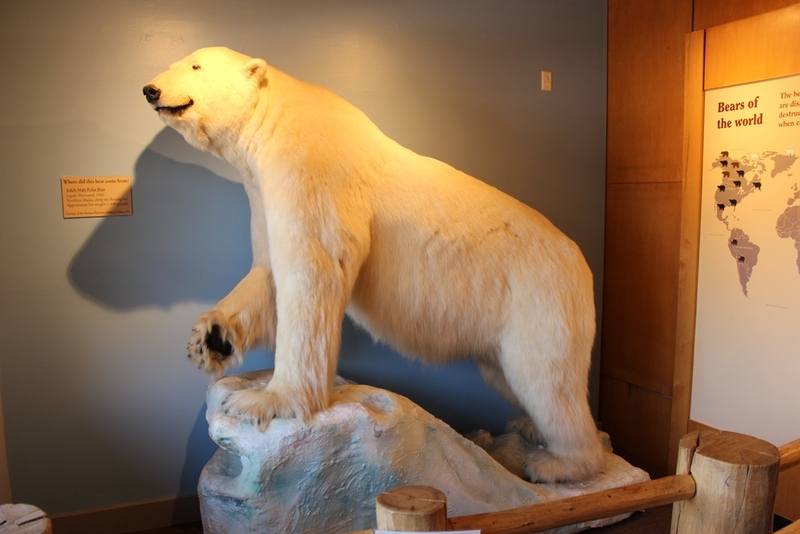 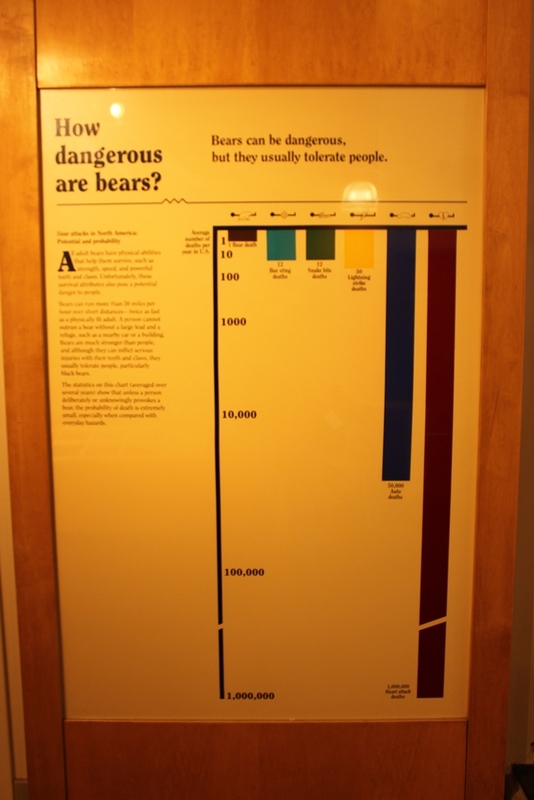 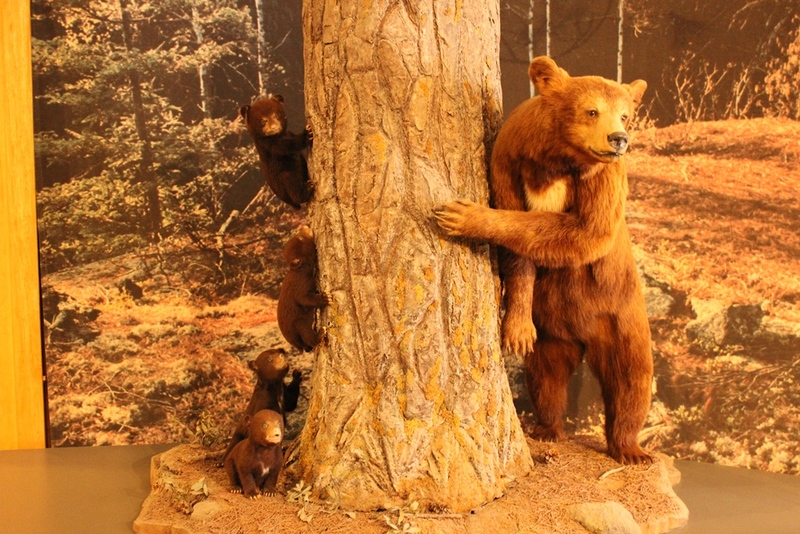 So along with the exhibits that showcase the animals, there is also a small museum that discusses different topics such as the various species of bears, the research that they conduct about them, and the different dangers that bears face in the wild and from human interaction. 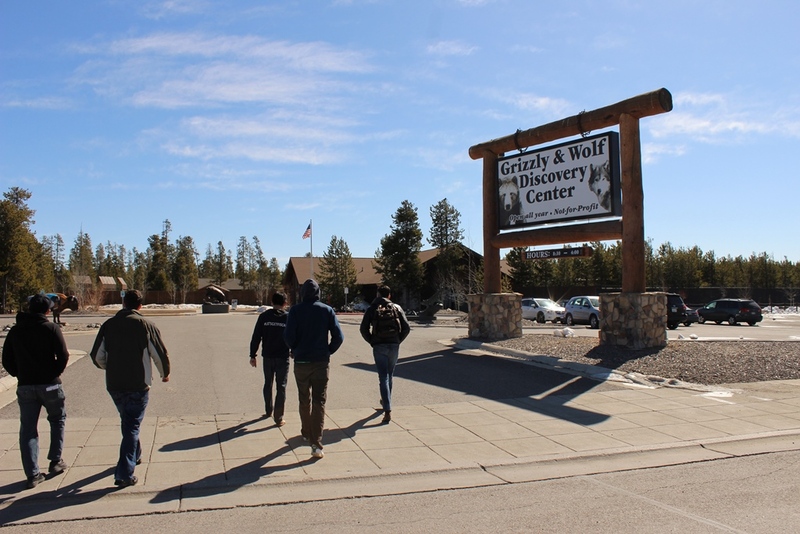 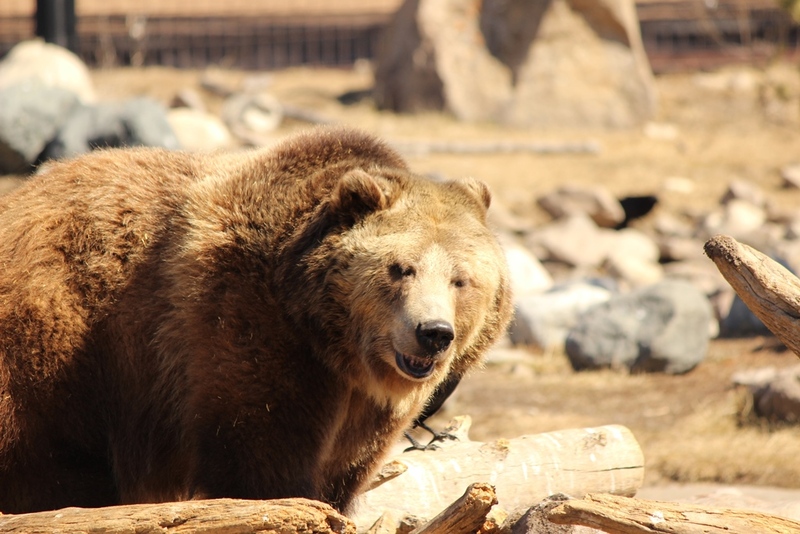 So overall, we had an enjoyable experience at the Grizzly and Wolf Discovery Center. 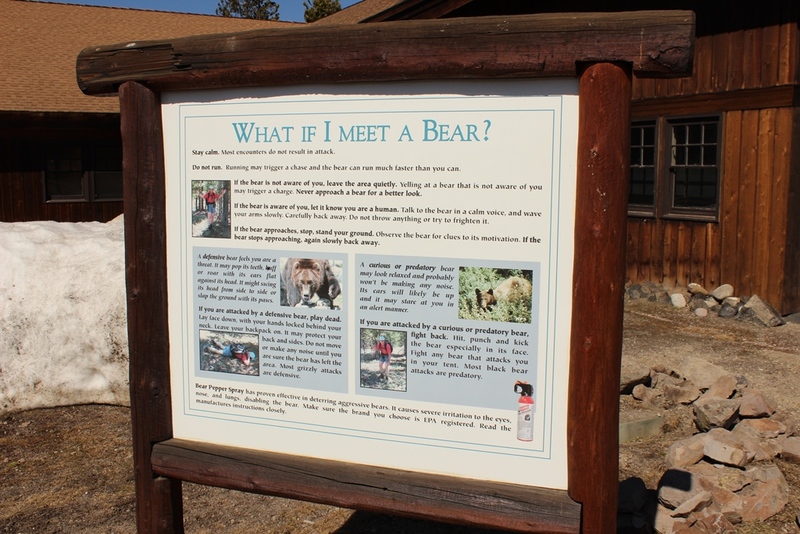 I would recommend a visit if you happen to be in the area, especially if you enjoy seeing animals up close without the need for a repellent. 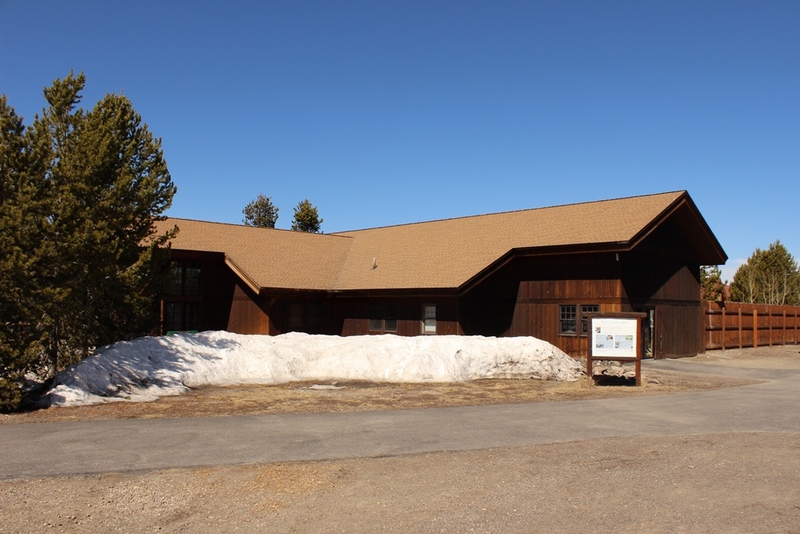 Thank you all for coming to check out this update to the Traveling Mr. Taylor Goes to Montana. 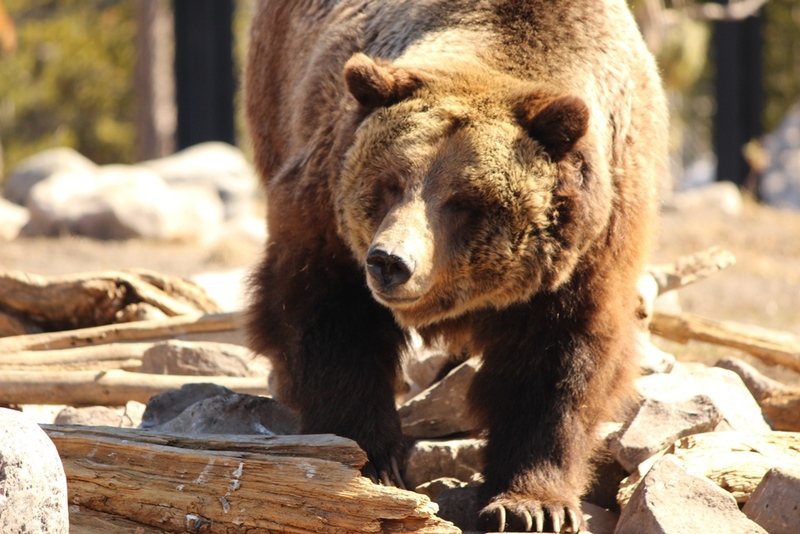 I hope that you will come back for our last update, which includes a hike into Yellowstone National Park, and that you will continue to check out the website for additional updates in the future!